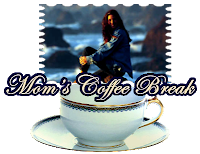 Mom's Coffee Break is a bi-weekly chat for all working mothers that need a chance to kick back, sip on their coffee, and participate in great discussions about challenges and triumphs. Working moms will receive great information and a chance at a give-a-way at each chat! Mom's Coffee Break will meet the first and third friday of each month. The chat starts at 11am EST. The June 1st topic will be Overcoming Our Own Sabotage. The chat is sponsored by Tally Green of Gano Excel Healthy Coffee. Grab your coffee; come join us! continue reading "Need a break?" You will love how these five Christian women share their hearts openly, pondering the possibilities, by asking the question "what if...?" each and every day. Enjoy daily pondering by each of these women. What if...we knew we were created beautiful? What if...outer beauty was an illusion? What if...we happily accepted God's will? What if...we had more courage to persevere? What if...we call sin what it is...sin? I encourage you to stop by their site today. What if...you stopped by their site? I was recently thinking about my now-deceased grandmother, and how genuinely sweet she used to be. For a few moments, I closed my eyes and tried to imagine her cozy home which was so neat, clean, and always seemed to smell of some sort of wonderful dish she was baking. Suddenly, my mind then drifted to a very small act grandma did which most people probably overlooked,yet I, even as a child, found subtle amusement. Grandma had this old fashioned wooden bench in the hallway of her home for as long as I could remember. She and all her many guests and family relations would briefly sit upon it while taking off their boots which had become damp or soiled from the intense Buffalo (NY) weather. I suspect grandma must have picked that item up used from a yard sale, as it was obvious the bench had many coats of paint on it. Yet, several times a year, grandma would repaint it, due to its easily chipping and peeling paint. Anyone who knows anything about painting is aware that in order for paint to best adhere to a surface, it is necessary to remove built up layers of old paint. I recall an uncle or two offering this information to grandma, but on she went painting that silly bench several times a year. I am reminded of how many of us often do the same thing. We may adorn ourselves in such a way that gives others the impression we are pretty and new, offering polite smiles and kind words when we know someone is closely watching, yet, not far from the surface exists facets to our character that are quite ugly. We may claim to be new creations, yet under that fancy exterior is a heart which may harbor hatred, resentment, lack of forgiveness, thoughtlessness and other characteristics to our personna God would find displeasing. Just as my grandmother needed to remove the old paint, and not simply cover up the old with the new, so too must we release the ugly grip of sin within our lives. It is not enough to just talk the talk. We must walk the walk, not just at times we think someone important is watching, but rather, what we claim to believe and hold dear must be at our very core. "Heavenly Father, cleanse me of my transgressions, and make in me a new heart; one that thirsts after those things which are good and pleasing in Your sight. Help me to teach others about You and Your goodness, by my own example; how I live my life, because, before I can take Your light out in to the world, I must first truly place it within me. This I ask in the name of Your Son, Jesus Christ. Amen. I ASK THAT YOU JUST USE IT IN ABUNDANCE. IF YOU LOSE YOUR PIN, YOU LOSE EVERYTHING!! MAKE A DEPOSIT IN SOMEONE ELSE'S ACCOUNT TODAY! continue reading "Love & Blessings"
"Come To Me... And Learn Of Me"
Jesus says it is the narrow Gate AND the narrow Path that leads to Life, and only a few will find it. There is a Path that you must walk, and the Path is a process that Jesus calls "discipleship". Discipleship is not an optional extra to people who are already born-again. I don’t believe that you can make Jesus your Savior, and later on, at your discretion and at your convenience, make Him Lord. I believe He must be Lord OF all, or He isn’t Lord AT all. Many people just want to trust in Jesus to save them from their sins and take them to heaven when they die, but they don’t want the process of discipleship. They are willing to enter into the Gate, but they are not willing to walk the Path. That’s what it amounts to. Many Christians have entered the Gate, but very few of them are actually walking the Path. There they are, sitting just inside the Gate, rejoicing in a future hope, rejoicing in a future heaven, rejoicing in a future reward, but they don’t realize that being a disciple of Jesus does not simply mean praying a prayer or believing something or joining something. It is a process. It is the Path, in fact, that leads you to Life. The Gate does not lead you anywhere - it is only the beginning of the journey, it is not the destination. "COME TO ME, all you who labor and are heavy laden, and I will give you rest. Take My yoke upon you and LEARN FROM ME" (Matthew 11:28). Underline that, highlight that, write that down, but make special note of that phraseology. "Take My yoke upon you and learn OF Me," King James says. "Learn FROM Me," New King James says. "For I am gentle and lowly in heart, and you will find rest for your souls. For My yoke is easy and My burden light." Now that word "learn" there, where He says "learn of Me" or "learn from Me", that is the same root word as "disciple". A disciple is one who learns. When He says, "learn of Me" He is saying, "Be discipled by Me. Learn Of Me. Be my pupil. Be my student. Come to Me and be discipled by Me." That is discipleship. "Come to Me and be discipled by Me." We could say "Come to Me" is the Gate, and "Be discipled by Me" is the Path. We could say, "Come to Me (enter into the Gate) and learn of Me (walk the Narrow Path)." Do you see that? The Gate, and the Path. It’s not just coming to Jesus, it is LEARNING of Jesus! Coming to Jesus, everyone [is] coming to Jesus - but how many are LEARNING of Him? "Come to Me and be discipled by Me. Come to Me and learn of Me." What’s my point? To be a disciple of Jesus means you are a student of Jesus. A pupil of Jesus. A learner of Jesus Himself, as opposed to going someplace to learn ABOUT Jesus from someone else. It’s a very fine, fine distinction. See, most churches will want you to come to church and learn about God, learn about the Bible, learn about church doctrine, learn about their denomination, learn about their religious ways and customs and philosophies and traditions. But that is not what Jesus said at all. He says, "Come to Me and learn of Me." "Come to Me and learn of Me." "Come to Me (that is the Gate); learn of Me (that is the difficult Path).
" So what was He doing? Was He teaching them teachings? Was He giving them doctrines? No, He said, "Come and be with Me." It says in Mark that He selected twelve disciples. Why did He select them? Not just to give them some teachings. Not to give them some doctrines. But it says "He selected Twelve that they should be with Him and that He might send them forth to preach" (Mark 3:14). Your primary calling as a disciple is to BE with Jesus, because that is how you LEARN OF HIM. It is not learning about the Christian faith - that is a thing. It is not learning about Bible doctrine - that is a thing. We’re not talking about things, we’re talking about a Person. It is not learning about Christian things or religious things or spiritual things. It is not learning about the Bible. It’s not even learning ABOUT Jesus, it is learning OF Jesus FROM Jesus. Can you see that? Can you see the difference between coming TO Jesus and learning OF Him, versus coming to someone else and learning ABOUT Him? The difference is night and day, and for the majority of Christians, they don’t know a thing in the world directly FROM Jesus, they only know what they have heard the church say, what brother so-and-so said, what sister so-and-so said, some book, some article, some tape they got off of the Internet or off the television set. They don’t have a personal, intimate, experiential, knowledge and knowing of who the Lord is for themselves because they have never come to HIM to learn of HIM. They go everywhere else but Jesus to learn ABOUT Him, but they never come to Jesus to learn from Jesus. And that’s what being a disciple of Jesus is all about. If you go anywhere else you are their disciple, you are not the disciple of Jesus. It is learning OF Jesus FROM Jesus. Here’s what I believe - now, you check yourself out and see if you believe this as well. I believe Jesus is alive. I believe He LIVES. He is not a million miles away off in heaven either. But He is an ever-present help in time trouble. He says I will never leave you, I will never forsake you, I am with you always, even to the end of the age. I believe He is risen, I believe He is alive, and I believe He is well able to teach us and disciple us HIMSELF if only we will come to Him. If only we will come to Him and learn of Him. He is alive. He did not just hand down some teachings because He knew He was going to die, and so He gave some teachings to the disciples so they could keep the message alive and keep the Gospel going forth in His absence. Absolutely not! He is alive, and He is teaching us, and He wants to disciple us, if only we will come to Him and learn of Him. continue reading "Come To Me..."
Need an ecommerce system that includes everything all in one place? Shopping Cart, Affiliate Management System, Unlimited Autoresponders, Digital Product Delivery and Tracking System? Work Smarter not Harder with WAHMCart! Save Time and Money with an all-in-one shopping cart solution! • Offering Multiple Payment Options to your customers. WAHM Cart works with most popular credit card Merchant Accounts. • Unlimited Autoresponders, Newsletters & Mailing Lists help you follow up automatically with your customers or prospects. • Digital Product Delivery so you can be free of manually emailing customers their eBook orders and customers receive their purchase without waiting. • Tracking System so you know exactly which promotional efforts are paying off and which are dead in the water, never to be repeated again. • Affiliate Management System so you can have an team of people selling for you even when you aren't working. continue reading "Powerful Tool for Small Business Owners"
and beauty and fashion, but could I turn that into a career. necessary to be a licensed counselor. Unfortunately, it is not my passion or my dream. hundred percent. I went through many graduate school applications and grueling interviews. I was accepted to three different graduate school programs. I even took several classes in one particular program, only to realize more and more that it was not my calling or my passion. Well known Christian author Max Lucado suggests in his work,The Cure for the Common Life that instead of asking our children, "What do you want to be when you grow up?" a better question would be "How can I help you become what God has already designed you to be?" You see, God designed me for a special purpose, to be a specific thing, and He has done that for each individual on the face of this earth, so it is important that we are allowed to be what it is God designed for us to be. God set his plan for each of us in motion the day that we were born. Jeremiah 29:11 says, "For I know the plans I have for you," declares the LORD, "plans to prosper you and not to harm you, plans to give you hope and a future." We are all as Christians certain of that great plan, that story of our life. Y - and our yes moments, those primary outcomes that bring us the most joy. "She will dream her very own dreams, Maybe she will look like you, talk like you, smile like you … maybe she’ll sing, paint and dance like you, but she’ll dream her very own dreams." Dreams are important, they give us something to look forward to with anticipation. I know you had your own dreams, now allow your daughter to not only have hers, but to live them out. Be her biggest cheerleader and watch her win at this game we call life. Help her along the way with words of encouragement, many hugs and love and even some discipline if it is in order. However, do not discourage your daughter from living out her dreams. God gave them to her and it is important that she follows His path for her life. You can be assured that if she is following God, that there are many plans in her heart, but the Lord is directing her steps. Receive a FREE report "Seven Easy Tips: Encouraging Your Daughter to Pray" when you sign up for our FREE Mom-Daughter Connection ezine. Are you looking for a creative and fun way to help your child memorize scripture? Or how about a fresh new way to share the gospel of Jesus? Memory Cross has designed an interactive fun-filled card that will not only keep your kids occupied, but yourself as well! (wink) They are one of the neatest tools I have seen to help kids memorize scripture through play. Check out Memory Cross today! They offer a wide selection of cards that teach scripture as well as share the gospel at Easter, Vacation Bible School, Mother's Day and Halloween. All the cards are covered by a 100% money back guarantee, so that you can check them out for yourself completely risk-free. Help your kids' to hide God's Word in their hearts! continue reading "Neat New Way for Kids to Memorize Scripture; Share the Gospel"
Does Your Wardrobe Need a Makeover? For the past couple of weeks I've received several spring fashion catalogues in the mail. I'm pretty sure you may have received some too. The women are "decked out" from head to toe with color- coordinated accessories. The goal of these catalogues is to encourage you think about how you might look in the advertised fashions so that you will go out and buy them. I like to shop just as much as the next woman. However, I'm careful to remind myself that while looking my best, I must not forget to make sure that I'm well-dressed spiritually too. Clothes may wear out, go out of style or no longer fit, but a beautiful spirit will last for eternity. Your Heavenly Father is so awesome that He even provides you with an all-purpose garment even better than your "little black dress." The Christian woman's basic, all-purpose garment is love. No matter what else you put on, Colossians 3:1 says to wear love and you will always be one of the best dressed women in the room. As you pack away your winter clothing and replace them with your spring and summer outfits, take a look at your spiritual wardrobe. Are you wearing the wardrobe God picked out for you? Is there anything that needs to be replaced? Does your all purpose garment need a little spring cleaning? Remind yourself daily that you can be a well-dressed Christian woman. continue reading "Does Your Wardrobe Need a Makeover?" Have you read Glenda's latest blog entry - Blogging for Inclusion? On May 1st, 2007, she joined more than 100 writers in blogging against disablism - bringing about awareness, education and unity amongst people. Glenda Watson Hyatt is a woman who has lived with cerebral palsy for 40 years. She blogs about her own experience with cerebral palsy; she openly shares to encourage others to take a closer look at how they view themselves, as well as the world around them. I also encourage you to visit Philip's Diary of a Goldfish blog, as he has listed the many others who have taken the time to share their thoughts and who are bringing dis-ABILITY into the light. You will be inspired, empowered and challenged! Is it only about physical capabilities? Or is it a matter of perspective? continue reading "Dis-ABILITY or Ability?"